Covington Air Systems is the #1 heating and air provider in Covington. We are proud to be your local choice for all your HVAC services. If you are in need of heating and air repair, service, or installation we are the team to call. Our technicians are certified and also perform quality work. How can I get a free estimate for a new system? 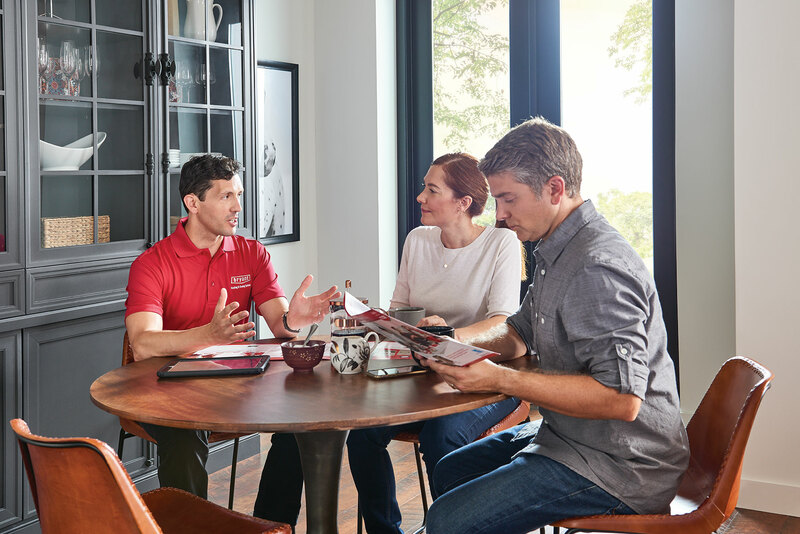 One of our technicians will visit your home and conduct a full analysis of your current system, including piping, rooms to be cooled, distance from unit to rooms, etc. After the analysis, you will receive our recommendation for a new unit based on your needs and budgetary requirements. Do we offer commercial servicing agreements? Yes, we encourage businesses to take advantage of our preventive maintenance agreements. We will schedule servicing around your business schedule so that it will disrupt your work as little as possible. If you are replacing your old air conditioner with a new one, we can help you with financing. Financing is not available for servicing or repairs. We accept all forms of payment: cash, personal check, American Express, Discover, MasterCard and Visa.